As I continuously research and prepare for shooting The Broken Altar (a film about abandoned drive ins) I am constantly drawn to my favourite filmmakers, artists and photographers for inspiration and thought. I viewed Bruce Gilden‘s work the other day to provide an aesthetic guide for my own practice. Always striking Gilden’s photography, balancing political and social thought with stylistic grace and poetry. 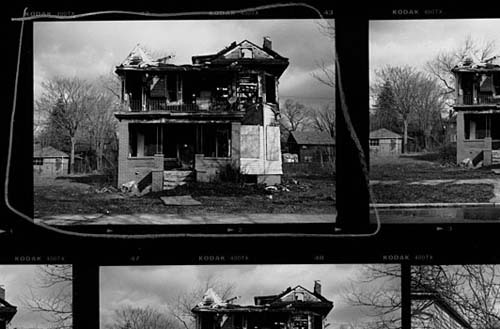 For your interest check out Gilden’s photo essay Foreclosures and Detroit: The Troubled City.